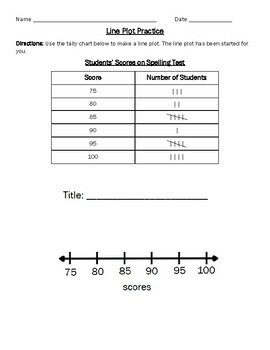 Students must create a line plot from a tally chart. Includes questions on maximum. minimum, mode, and median.